The Paris Feast: A simple and healthy Guacamole. 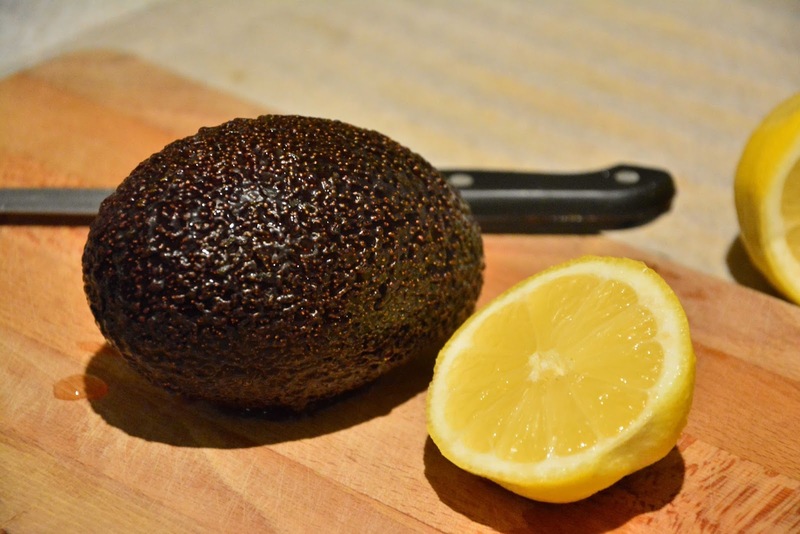 The avocado is the fruit of a tree that originates from Mexico and has evidence of being cultivated for at least 7000 years. It was first mentioned in Europe around the 16th century and has since spread to almost all parts of the world. So why is it so popular? Simply because of its multiple health benefits and of course it being quite delicious if consumed in the right way. To start with the fruit contains at least 20 different vitamins and minerals mainly Vitamins K, C, B5, B6, Folate and a great source of potassium. [For detailed reference.] 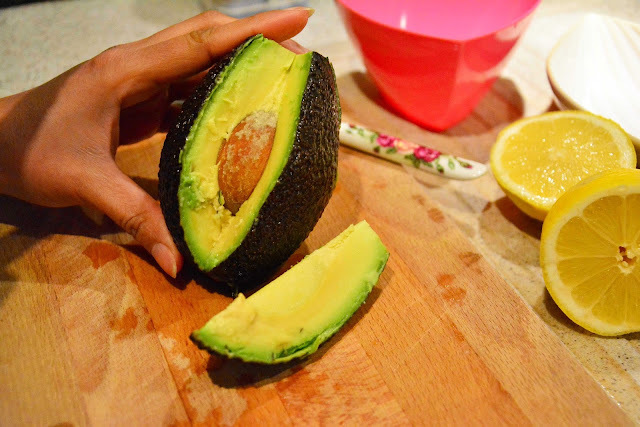 Avocados are also cholesterol and sodium free and more than 50% of its fat content comes from monosaturated fats [Detailed reference]. 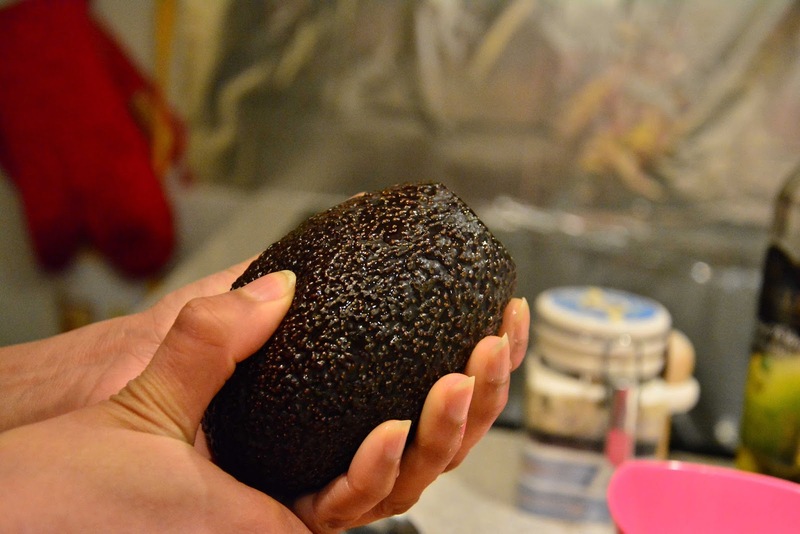 The dark green part of the fruit also contains carotenoids which act as anti-oxidants [Reference]. Avocados also reduce the risk of developing cardiovascular disease and type 2 diabetes and lower blood cholesterol levels [Scientific References 1,2]. 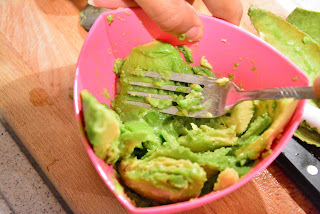 Now let us come to eating this healthy and flavorsome fruit and I made a simple dish most commonly associated with avocados, the simple guacamole. 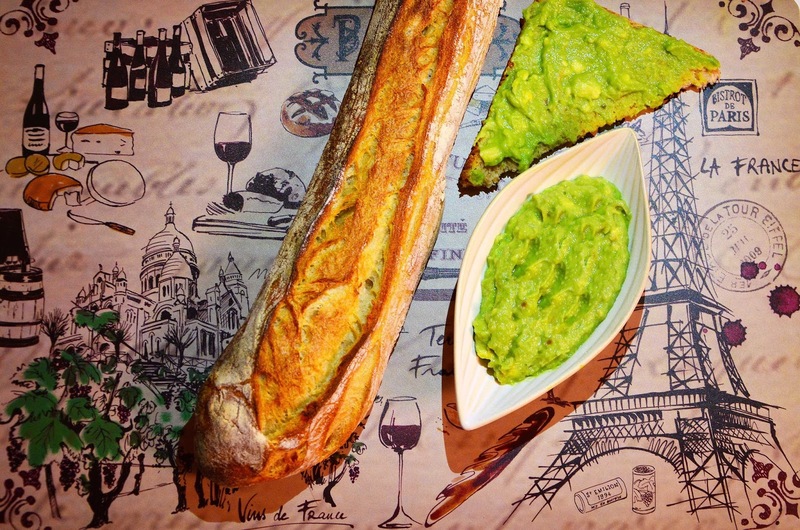 Guacamole is a dish of the Aztecs which literally translates to “Avocado sauce”. 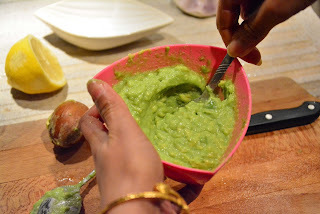 The simplest form of guacamole consists of avocado paste and sea salt. Different versions however exist for making this simple dip, to accompany tortilla chips. 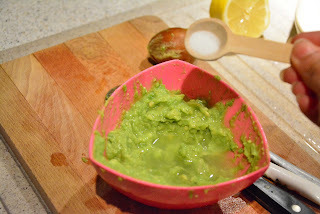 Here is my version of making guacamole with avocados. 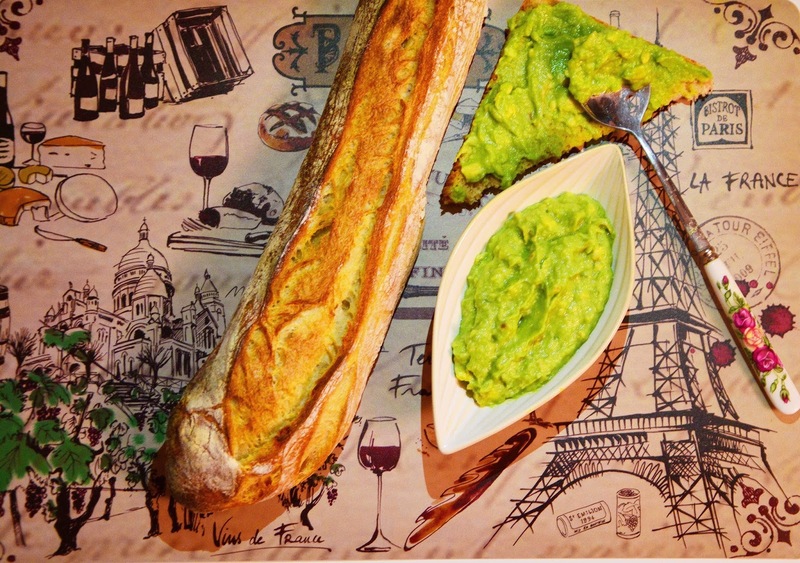 I tried it as a toast for brown breads and baguettes, and trust me; the bread and the guacamole were just perfect for each other, better and healthier than tortilla chips, at least for me. 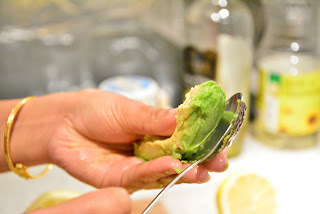 Guacamole is preferably made with softer avocados. So press the skin to see it you can make a indent with little effort. 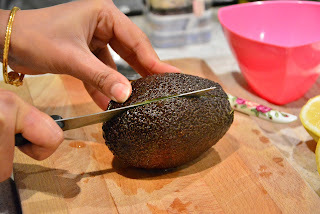 Make slits on the avocado till you reach the seed. Make about 4 slits on one avocado. Separate the slices from the seed with the help of your fingers. Scoop out the flesh of the avocado with the help of a spoon. Make sure to scrap out every little flesh, mainly the darker green part, because they contain most of the nutrients [Reference]. Here is the picture of a completely scraped out skin. Smash the soft pulp with the help of a fork. Add the juice of 1/2 lemon. Avoid the seeds of the lemon. Add salt to the smashed avocado. 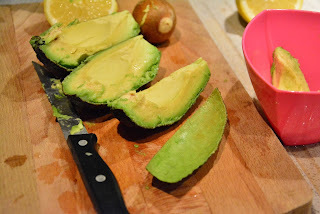 With the help of a fork, mix the avocado, lemon juice and salt nicely. Voila, your healthy guacamole is ready. Avocadoes have a lot of health benefits, mainly a rich source of vitamins and potassium and free of cholesterol and sodium. 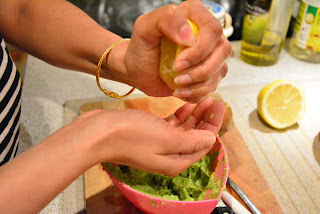 Here is a simple recipe to make guacamole with avocadoes. Add the juice of 1/2 lemon and salt. Bonjour Mitanti! And I just love guacamole! 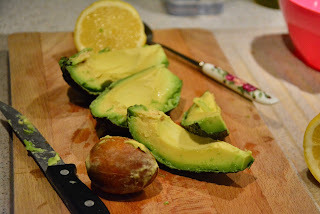 In fact, I really just love avocados...in all forms. But your very simple preparation is the very best way to make guacamole. Too often, people muddle the flavors with too many ingredients. Thanks for sharing and I'm looking forward to reading more of your Paris Feast adventures and recipes.